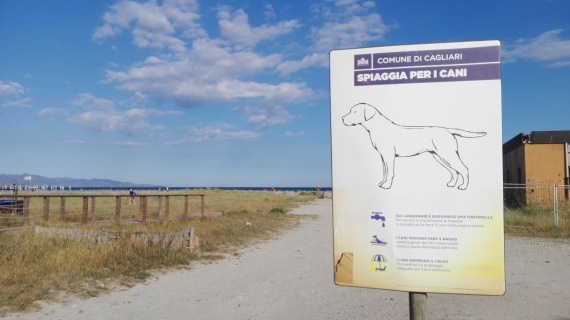 In correspondence of the 7th bus stop along Poetto, opposite the Marino Hospital, the Dog Beach stretches on the seashore for six thousand square meters, bordered by a net. The dogs must have microchips and health certificates to attest their conditions. The owners are also required to collect the animal waste. On the seafront there is a small fountain to offer our four-legged friends some refreshment. Dogs can also swim, accompanied by their owners and within the dedicated area bordered by buoys.